Traditional legacy phone systems for business are costing companies in both dollars and productivity. Legacy phone systems have long been the king of the inner office telecommunications space, but the increasing ease of hosted PBX, as well as the cost savings and scalability features that follow, is reshaping the market in a big way. New communications technology with hosted PBX and VoIP can meet the needs of your dynamic workplace while providing cost-savings, greater accessibility and reliability. How to switch and upgrade today! 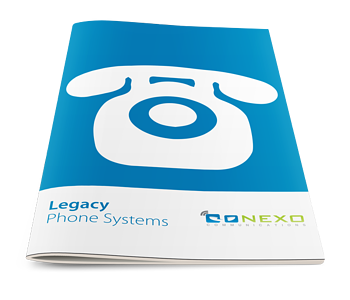 Download our quick guide to Legacy Phone Systems to learn about your options for upgrading and getting all the benefits of modern communications technology.